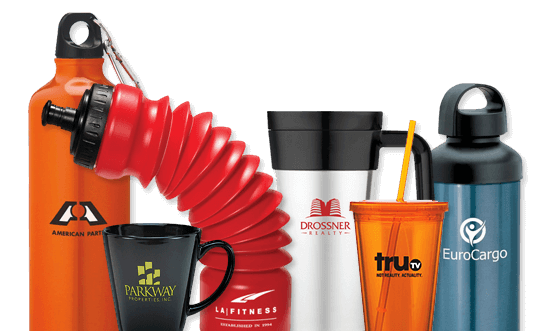 Custom drinkware, mugs, travel mugs, tumblers, water/sports bottles, glasses and cups always make a versatile, practical and economical promotional item. You can give these away at trade shows, use them for meetings, and hand them out at any and all company events. Plastic, ceramic, stainless steel, and even glass, ABC Marketing has a style for everyone and every single event. Browse through our online catalog for the perfect drinkware or just to get some fresh ideas for your next marketing campaign.